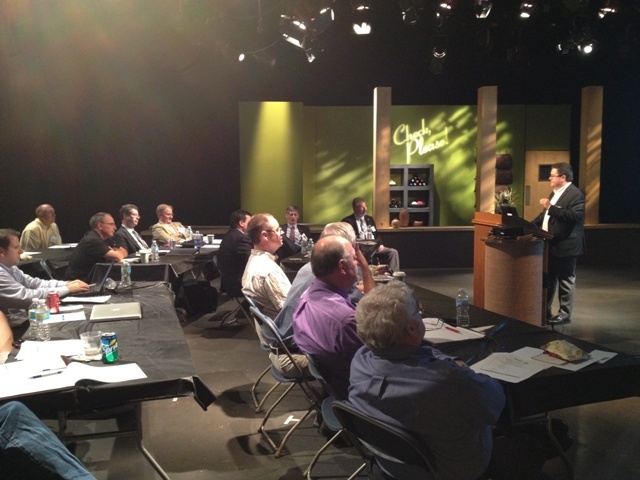 Steve Silva discusses consumer experiences at the Chicago Audio Loudness Seminar in August. Registration is now open for the Audio Loudness Management Seminar in Atlanta, which takes place Tuesday, November 13 from 9 a.m.-4:30 p.m. This last seminar in the series covers everything from a background of loudness, mearurement and monitoring, TV stations and addressing DTV’s audio loudness problem, content creation, MVPDs and consumer experiences. Presenters include Jim Starzynski, NBC Universal; Pat Waddell, Harmonic; Steve Lyman, Dolby Labs; Tim Carroll, Linear Acoustic; and Steve Silva, Fox. The cost for members of the SBE or ATSC is $95. The cost for non-members is $150. Reserve your spot today for this highly interactive seminar!